“Journalism in a Global Context” (JiGC) is an African-European project aimed at connecting journalists and journalism students in Africa and Europe, thus promoting the quality of foreign reporting in Europe and Africa in a crucial time of development for both continents. The long-standing experience in media relations work by the Africa Positive organisation (www.africa-positive.de) spans across media coverage of the countries of the South in the Northern media or of countries of the North in the Southern media. It also include topics such as migration, causes of migration and integration which have been poignant in a largely undifferentiated manner. Very little (or very often the complete lack) of knowledge on topics such as globalization and its effects, the geopolitical strategies shaping our world, the everyday lives of people in countries of the South and, in some cases, poor intercultural competences seem to be the main reasons. Partnering with the Erich-Brost Institute (EBI) for International Journalism at the Technical University of Dortmund (brost.ifj.tu-dortmund.de), we seek to promote a balanced and high quality reporting on these subject-matters. Journalism students at German and African universities today are the journalists and media makers of tomorrow. Today, professional journalists work within tight budgets and limited ressources in a rapidly changing media world. Against this background, the concept “Journalism in a Global Context (JiGC)” was born. With this project, we are committed to the teaching of global learning issues in journalism and related study programs as well as in part-time continuing education. Students and journalists in Germany as well as in African countries would be supported to better understand world events and global relationships from different perspectives in their professional activities. These will afford them the opportunity to critically evaluate and analyze these dynamic issues. An example is understanding the effects of global political and economic links. Students will be made to grasp the life situation of people in the countries of the South as well as the actual causes of environmental problems and causes of flight as well as their effects on people and nations. An important goal of “Journalism in a Global Context” is the sensitization of these connections in the journalism education. Global learning topics such as the impact of our consumption patterns on poorer countries, the exploitation of natural resources and the resulting environmental damage, corruption, sustainability, human rights and intercultural competence would be taught and incorporated into future reporting. The cooperation of African and German actors, involving JiGC, will change the perspective of the actors and their reporting on both sides. 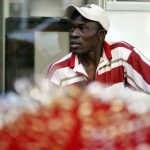 Many Africans have the same misconception of life in Europe as Europeans have about life on the African continent – many Africans see Europe as a paradise where they want to live. The realities in Europe are beautifully spoken about, unsightly situations are masked out of perception or suppressed. This seems to be one of the main reasons why many young people are making their way to Europe despite the extremely fatal risk and dangers so far recorded. Through the cooperation of Germans and Africans, JiGC aims at facilitating an intercultural dialogue so that the realities of life in Germany (Europe) and in the African countries are presented in a more balanced way. Through JiGC, the African partners will report on their own experiences and perspectives with background knowledge about the impact of global events on their countries. This transfer of knowledge facilitates a fairly-thought out dialogue, because in this cooperation African journalists and students are experts on African topics, while German journalists and students are experts on German topics. Acquiring skills for information gathering and information sharing: asking questions about globalization, properly assessing facts and learning to recognize and appreciate sociocultural diversity in our One World. Promoting the critical examination of development-policy issues. Enabling the analysis and assessment of the globalization and development process based on sustainable development models. Developing awareness of journalists’ influence on social perception. Against this background, a change of perspective in the assessment of one’s own and others’ value orientations and their significance is not only reasonable but necessary. 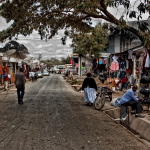 JiGC is a joint project of Africa Positive in cooperation with the Erich-Brost Institute for International Journalism at the TU Dortmund and the African Media Initiative (AMI) Nairobi, Kenya. In addition, several universities and institutions on the African continent as well as in Germany are partnering. All journalistic products on this website may be freely used provided the source and the authors are mentioned. Excluded from the grant of rights are the rights to modify, amend or supplement. The right of use exclusively refers to the use in the media of the user. A sale of the journalistic products is excluded. “Journalism in a Global Context” (JiGC) is an African-European project aimed at connecting journalists and journalism students in Africa and Europe, thus promoting the quality of foreign reporting in Europe and Africa in a crucial time of development for both continents. The long-standing experience in media relations work by the Africa Positive organisation (http://www.africa-positive.de) spans across media coverage of the countries of the South in the Northern media or of countries of the North in the Southern media. It also include topics such as migration, causes of migration and integration which have been poignant in a largely undifferentiated manner. Very little (or very often the complete lack) of knowledge on topics such as globalization and its effects, the geopolitical strategies shaping our world, the everyday lives of people in countries of the South and, in some cases, poor intercultural competences seem to be the main reasons. 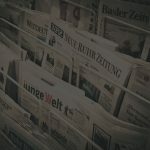 Partnering with the Erich-Brost Institute (EBI) for International Journalism at the Technical University of Dortmund (https://brost.ifj.tu-dortmund.de), we seek to promote a balanced and high quality reporting on these subject-matters. All journalistic products on this website may be freely used provided the source and the authors are mentioned. Excluded from the grant of rights are the rights to modify, amend or supplement. The right of use exclusively refers to the use in the media of the user. A sale of the journalistic products is excluded.d Africans, JiGC aims at facilitating an intercultural dialogue so that the realities of life in Germany (Europe) and in the African countries are presented in a more balanced way. All journalistic products on this website may be freely used provided the source and the authors are mentioned. Excluded from the grant of rights are the rights to modify, amend or supplement. The right of use exclusively refers to the use in the media of the user. A sale of the journalistic products is excluded. In the past year, political and public debates across Europe have been dominated by the ever-increasing wave of migrants from the Middle East and Africa. The African-European project “Journalism in a Global Context” aims at connecting journalism students in Africa and Europe, thus promoting the quality of foreign reporting of Europe and Africa in a crucial time of development for both continents. Students from both continents produce media input together and focus on migration from Africa to Germany and Europe. 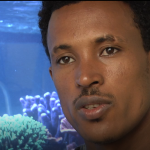 Their stories show the reality of life of African refugees in Europe and mention alternatives to flee. You can find the results of the students’ work on this website. 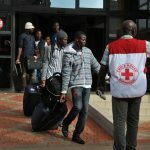 Moreover, students take a closer look on the role of the media in the refugee crisis: How do African media report – and frame – the current massive exodus of fellow countrymen? How do media across Europe live up to the challenge of covering the dramatic events at home and in the Mediterranean Sea – as well as the political and economic situation in the migrants’ home countries? Students discuss the idea how foreign reporting could practices be improved both in Africa and in Europe, to foster a better mutual understanding. Currently, African journalists have been invited to submit journalistic pieces on all issues related with migration to Europe. You can find the results of the journalists’ work on this website, too. The project is sponsored by the German Foreign Office and implemented by the Erich-Brost Institute for international Journalism and Africa Positive, a non-profit association based in Dortmund, Germany. The project started in 2015 with two conferences involving journalists and scholars from African and European countries to discuss challenges in media coverage of African issues in the media and launch the idea for a new African-European project in the field of journalism education. The African Media Initiative (AMI) connects the project to news outlets across Africa. All journalistic products on this website may be used provided the source and the authors are mentioned. The right of use exclusively includes use in the own media. A sale of the journalistic products is excluded. It is excepted from the grant of rights the rights to modify, amend or supplement.